Anyone with even a passing interest in the music business has heard stories of musical artists not getting paid their due for their work. There are loads of stories of the early rock n’ rollers who had some big hits in the fifties but ended up wasting away in some trailer park in their later years. Those stories are usually replete with the usual bogeymen: the bad record companies that did not pay royalties and the crooked managers who took advantage of their clients. Discrimination? Exclusion? Refusal? "What was going on here?” I asked myself as I set out to investigate. Who or what was ASCAP? Well, ASCAP is the acronym for the American Society of Composers Authors and Publishers. They are a trade organization of music publishers. They function to license music and collect royalties arising from the public performance of music, whether that be live performance or performance on TV or radio. BMI is a similar-styled organization. They are organized to collect the same type of music royalties. Their acronym stands for Broadcast Music Inc. So, how and why did ASCAP Start? [iv] At the end of the 19th Century, in the United States, the owners of music copyrights, called "music publishers” (because they printed sheet music containing versions of their songs), were having a hard time fighting people who counterfeited their sheet music. In 1889, the US Copyright Act was amended to provide for the payment of royalties for the performance of music. 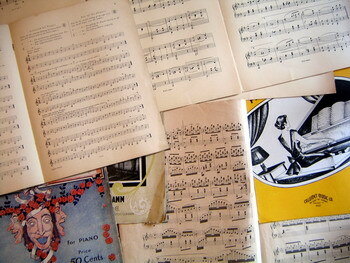 It was seen as a way to protect music publishers from counterfeit sheet music because it focused on the value of the performance of the music, not just its worth on the printed page. But it was only a law in concept as there was no real way to enforce it. Yet. In New York City, which was then the centre of the North American music business, the Witmark boys – a five-brother team of songwriters, music printers and publicists - had built themselves into one the leading music publishing companies in the USA. They and several other music publishers came together in February 1914 to form the American Society of Composers, Authors and Publishers (ASCAP). Their purpose was to issue licenses and collect royalties from those who performed music in public. This was the new stream of income, separate from the other monies that could be earned from owning songs. They based their model on a European system where cabarets, night clubs and other public venues were required to pay a fee for a license that allowed those places to play the music publishers’ music in their venues. After deducting an operating fee, the organization would then distribute collected royalties directly to member publishers and composers. Their key to success was to enlist the participation of all venues from the smallest to the largest. This was a time-consuming project and an area where much energy was expended. 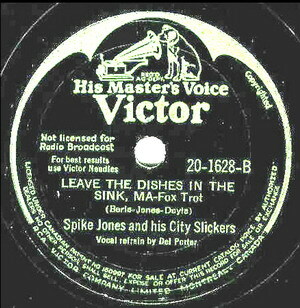 This early 1940s Victor label clearly asserts that the recording was "Not Licensed for Radio Broadcast"
As the years went on, however, there was a technological development happening that would take up even more of their time and energy. The dawn of radio and programs that played music on the radio posed a new set of problems for ASCAP in the 1920s. The station owners/broadcasters simply refused to pay ASCAP in order to play their members’ music. The broadcasters believed that, once they had purchased the record, they were free to play it all they wanted because they owned the physical copy. The broadcasters also believed that the fee ASCAP sought was too high. This battle raged through the twenties and in to the late 1930s with the broadcasters successfully rebuffing ASCAP’s attempts to get money out of them. ASCAP finally issued a threat to the broadcasters: pay us for using our music or stop playing our music altogether. The broadcasters responded by forming their own performing rights organization, "BMI”, in 1939. BMI then agreed with the broadcasters on a rate for the performance of its music on radio. Now BMI had to acquire some content. Because ASCAP controlled the great majority of American popular music, BMI was forced to look to the musical fringes for its members. To better understand what was going on at the time, it’s important to know that ASCAP represented songwriters like Cole Porter, George Gershwin and Irving Berlin. They considered their writers to be the true representatives of America’s music and therefore "society’s” rightful "popular” music. ASCAP basically ignored all the music that "society” associated with the unsophisticated classes and "degenerates”. They made it very hard for jazzmen, country fiddlers, Appalachian musicians and blues singers to obtain membership in their organization. With the formation of BMI, because the new organization needed music for broadcast purposes, they opened their doors to a wider selection of musicians. As a result of the broadcasters forming BMI, ASCAP went ballistic and announced that as of December 31, 1940, they would press charges against any radio station that broadcast ASCAPlicensed music without paying the licensing fee. The penalty for copyright infringement for failing to pay royalties at that time was $250 for each time a song was played. The broadcasters responded, as one would expect: they simply revised their play-lists to include only BMI-licensed songs. Overnight, all the George Gershwin, Hoagy Carmichael and Harry Warren songs vanished from the airwaves. And what happened? Nothing. The broadcasters discovered that the American radio-listening public had no problem with the new content and there was no decline in the audience. So with continuing revenues based on the revised play-lists, the broadcasters continued to invest in BMI. BMI offered equitable, fair contracts to interested songwriters. They made it easy to join, as they did not require that a songwriter already have published at least 5 songs, as ASCAP did. At the same time, other dramatic events were unfolding. In the summer of 1940, a suit was instigated by the U.S. Justice Department that accused ASCAP of restraint of trade, monopolistic tactics, and discrimination against non-members. It was this suit that finally succeeded in bringing ASCAP to its negotiating knees. Twenty-six years of doing battle with station owners had drained the organization’s finances and had broken its morale. Finally, in November 1941, the organization was forced to settle for the same two and three-fourths percent of the radio stations’ annual advertising revenues, a proportion that the stations had willingly given BMI, far below the seven and a half percent that ASCAP had always demanded but had never received. There were those who saw in the settlement a major victory for ASCAP, which had never before earned so much as one cent in broadcast royalties. Others saw it as a pyrrhic victory, for ASCAP’s hard line of negotiation had brought about the existence of BMI, whose roster of talent signalled to many the beginning of the end of the commercial music business’s (Tin Pan Alley’s) golden era. Yet, this is not the end of the story, as there arose some unintended repercussions. The radio broadcast industry initially provided a lot of jobs for live musicians to play in the radio shows. The settlement between the broadcasters and ASCAP now meant that radio had a lot of pre-recorded content to choose from. Prerecorded content was less expensive to air but meant fewer opportunities for live musicians to play. This rankled the powerful musicians union, the American Federation of Musicians, to no end. 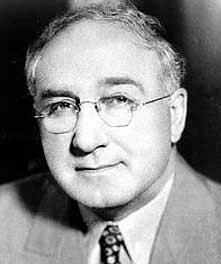 And so, in 1942, James Petrillo, the president of the AFM, called a strike and pulled the Federation’s musicians out of all recording studios to prevent the manufacture of new records. Petrillo had been looking for a way to break the back of the recording industry for some time and this settlement with the broadcasters pushed him to draw the line in the sand. On August 1, 1942, the strike went into effect and effectively halted the manufacture of any new records. Because of this, many blues, folk and jazz musicians (who would more than likely have been BMI members) were prevented from recording. ASCAP publishers, however, had a banner year in 1943 because record companies had a huge backlog of unsold disks containing ASCAP-licensed songs that they re-released during the strike. This was a short-term problem, however. By the mid-1950s, 80 percent of all music played on the radio was licensed by BMI. But the tale of music in North America after WWII is another story for another day. And what of these performance rights societies? ASCAP and BMI are big business still today and luckily the restrictive membership application practices have disappeared. 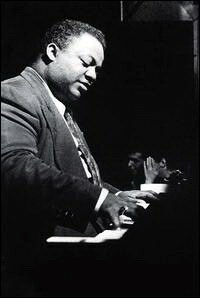 [iii] Coleman, Rick: Blue Monday – Fats Domino and Lost Dawn of Rock ‘n’ Roll. United States: Da Capo Press 2006 at 3 to 4.